This post is part of a joint series hosted by The Strategist and The Bridge. Strategy is meaningless without an opposing force. Since Australia currently has only hypothetical opponents, a strategic endstate for Australia can only be vague. A ‘good enough’ working endstate for any country at peace is continued peace and prosperity, the maintenance or increase of regional influence, and avoidance of dynamic competition with another strategic actor. Other major strategic actors in the Pacific include the US and Japan, but the long-standing friendship between Australia and the US, and by extension Japan, precludes anything more than friendly competition. Terrorism is a problem, but terrorist groups aren’t an existential threat to Australia. That leaves China. War between China and other strategic actors is by no means inevitable, but China’s recent moves to establish greater regional power raise its likelihood. The purpose of these ruminations is to examine how Australia should posture itself as a regional military power to ensure its ability to continue being peaceful and prosperous and apply it to a long-running debate in Australian strategic circles: the amphibious-warfare debate. If one could hover above Australia and look out over its regional area of influence, two major characteristics would become apparent: ocean and islands. Geography still matters, and the Australian military must be equipped to operate within its surroundings. In my post at The Bridge, I discussed general schools of thought about the nature of naval force projection in regards to amphibious operations. Alfred Thayer Mahan viewed the Navy as decisive. Julian Corbett viewed the Navy as more of a supporting act to landpower. 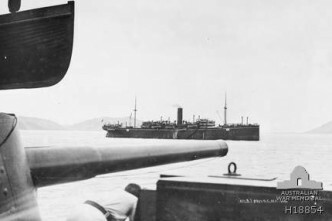 Pete Ellis viewed a symbiosis between seapower and landpower as both necessary and decisive. They all agreed, however, that a great power needs both and the ability to transfer power from one to the other. 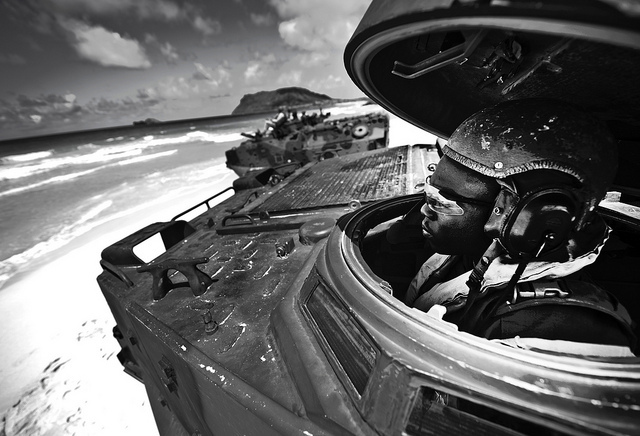 Amphibious capabilities are enablers that operate at the confluence of land and sea. Our view from above Australia reveals that it’s simply surrounded by that fusion of land and sea. The archipelagic nature of its surroundings means that nearly every acre of land outside Australia itself can be affected from the sea, and most of the important fathoms of sea can be affected from the land. In the event of a major Pacific war, Australia’s geographic surroundings compel amphibious capabilities. If China’s rise does lead to war, it’ll be a Pacific war, not an invasion of China itself. The existence of China, of course, wouldn’t be the problem. Rather, increasing Chinese control of the Pacific region would be the political situation that could lead to war. Its opponents would need to contest, secure, and expand their own control of the Pacific region, limiting Chinese imports from a number of important sources. If Australia wants to control its portion of the Pacific—and it should—it must master the fusion of land and sea that confronts it on almost every side. 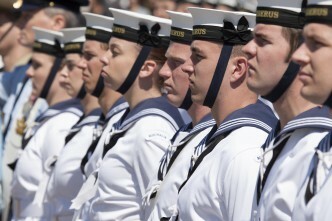 It’s entirely understandable, however, for Australians to shy away from amphibious operations. Gallipoli was a disaster. Certainly not for lack of valour on the part of the troops but rather because of the lack of understanding of amphibious operations on the part of the British chain of command. The Gallipoli campaign convinced most observers that advanced weapons of war made amphibious assaults impossible. But Operation Morris Dance in 1987 demonstrated that Australia still needed expeditionary capabilities in the modern world—as well as the poor state of those capabilities at that time. 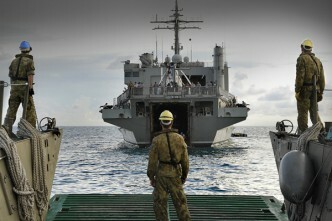 More recently, the Australian military has proven itself adept at expeditionary operations in places like East Timor. The Australian Army (along with its Pacific partner, the Japanese Self Defence Force) has a great advantage as it begins to build amphibious power. It will be able to form units task-organised to amphibious operations and allow those units to operate that way for administration, training, force generation, and combat. 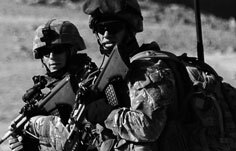 The USMC, for example, fights as a Marine Air Ground Task Force (MAGTF) but remains beholden to legacy organisations when not deployed for traditional and legal reasons. That duplicates force structure and staffs and means units don’t train as they fight except for a period just before a deployment. Australian and Japanese forces can be more streamlined and efficient. Indeed, Plan Beersheba could be a windfall for the Australian Army in that respect. 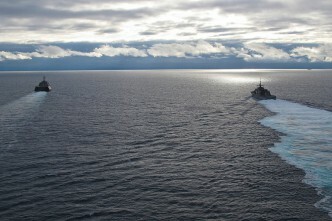 It’s an opportunity to position Australia as one of the most modern and flexible forces in the Pacific, and its focus on amphibious capabilities is a necessary component of that modernisation. David Kilcullen’s recent book Out of the Mountains: the coming age of the urban guerrilla details geopolitical trends that are leading to increased littoralisation and urbanisation. 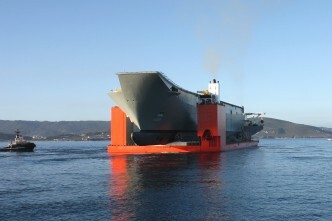 Those trends suggest amphibious capabilities will be more and more in demand, especially as the amount of resources the US Navy can devote to amphibious shipping dwindles. 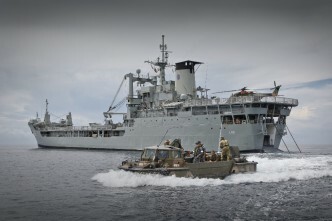 Peter Dean raised some of the questions the ADF will have to wrestle with as it integrates amphibious operations in a recent post for The Diplomat. It’ll be interesting to see how those questions are addressed. Amphibious force projection isn’t just a necessary capability for the Australian Army, but a natural one. While the Gallipoli operation failed, the traits proven there and continually displayed by the Australian soldier today lend themselves to an expeditionary ethos. The flexibility inherent in amphibious ships—from high-end combat to command and control to humanitarian aid—is virtually unmatched by any other type of capability. The combination of the two makes for one of the smartest military combinations the Department of Defence could have made. Captain B. A. Friedman is a field artillery officer in the United States Marine Corps. He is currently stationed in Camp Lejeune, North Carolina. He is the editor of the upcoming book 21st Century Ellis, due to be published in March, 2015. 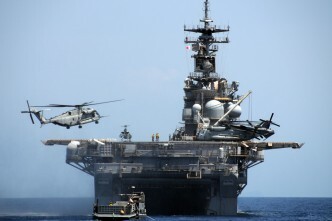 Image courtesy of Flickr user USMC.